One of the most direct ways of impacting an elected official’s viewpoints is through a letter writing campaign, particularly if this communication comes directly from their constituents. Government officials, particularly legislators, are becoming increasingly responsive and rely on your feedback in their decision making process. 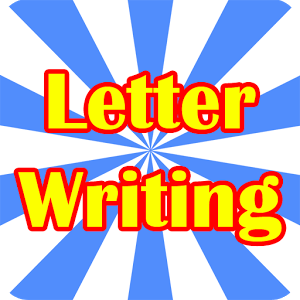 The more letters they receive on a particular issue, the more important this matter becomes. This has been the case with the campaign for a National Nurse for Public Health. Recently, leaders and advocacy team members have received feedback that their letters were received. 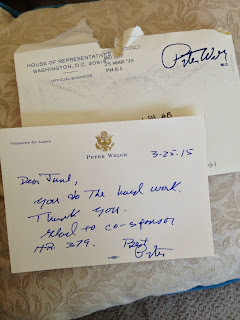 Rep. Peter Welch (VT) wrote to NNNO Advocacy Team Member June Schulte, “You do the hard work. Thank you. Glad to co-sponsor H.R. 379”. The National Nursing Network Organization (NNNO) has put together several template letters that can be easily edited to send off to your U.S. Representative and Senators. Below is an example, but please do email the NNNO Board for tips and suggestions, as well as an email address that is best to send your letter to. We are here to help! I want to begin by thanking Representative ______ for his/her leadership and service on behalf of his constituents here in (Your City). I am the (one sentence about yourself). I am writing today to request co sponsorship for HR 379, The National Nurse Act of 2015, legislation that is very important to nurses in (Your State) and the health of our state. I have been involved for decades in the struggle to improve health and reducing costs to our healthcare system by promoting preventive care. I believe the National Nurse Act of 2015 would be an important step forward in that effort. We know that nurses are the most trusted and respected healthcare providers in America. By designating the existing position of the Chief Nurse Officer as the National Nurse for Public Health, we would be taking advantage of that status to help focus attention and educate the public on how to improve their health status. We would also be elevating the profession of nursing at a moment when the role of nurses in the healthcare system is becoming increasingly important. As a national advocate for nursing actions to champion public health in our communities, a key role of the National Nurse for Public Health would be to encourage nurses and all health professionals to work within successful health promotion programs, increasing public safety and emergency preparedness. I hope that Representative ______ agrees to the importance of H.R. 379 and will soon sign on as a co-sponsor. 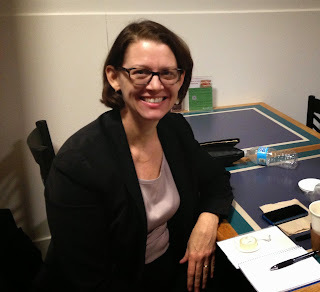 Thank you to Theresa Brown, nurse and contributor to The New York Times, for writing in support of H.R. 379 The National Nurse Act of 2015. Her opinion piece, Why I Support the National Nurse Act of 2015 , was published recently by the Center for Health Media Policy. Brown describes her nursing school experience during a role-play activity in which she proclaimed, “I’m just the nurse”, quickly being corrected by her faculty. According to Brown, one justification for promoting the National Nurse Act is that it will help improve the public image of nursing. She also gives many other reasons why the National Nurse Act deserves full support. These include the role of the nurse in health promotion and disease prevention as well as the potential a National Nurse for Public Health would have in being a “go to resource for information and reassurance during emergent public health crises such as the recent Ebola and measles outbreaks. Many have taken the time to add comments- please feel free to add one of your own to keep this important conversation going! The American Nurses Association (ANA) is pleased to support H.R. 379, the National Nurse Act of 2015. H.R. 379 would designate the same individual serving as the Chief Nurse Officer (CNO) of the Public Health Service as the National Nurse for Public Health. The ANA is the only full-service professional organization representing the interests of the nation’s 3.1 million registered nurses. Our members serve in a variety of capacities, providing general and specialty care as registered nurses and advance practice nurses (APRNs), a group that includes certified nurse midwives, certified registered nurse anesthetists, clinical nurse specialists, and nurse practitioners. These nurses practice in a wide range of settings such as private practices, hospitals, and home health settings around the country. Thank you for your leadership in raising the visibility of nurses. The ANA appreciates that H.R. 379 provides for elevation in rank for the CNO, includes a report to Congress on the Commissioned Corps Nursing Category, and achieves a stronger focus on the role of the CNO in advocating for programs that address the health care demands of our nation. We applaud the intention of H.R. 379 and look forward to working with you in the 114th Congress on legislation that strengthens America’s health care system. The American Nurses Association joins the growing list of endorsing organizations found at http://nationalnurse.org/endorsements.shtml Organizations are urged to please email the NNNO Board to receive a copy of the signatory letter if you are interested in supporting The National Nurse Act of 2015. National Public Health Week (April 6-12) is the perfect time for federal legislators to show support for HR 379, the National Nurse Act of 2015. This year’s American Public Health Association (APHA) theme “Healthiest Nation 2030” ties right into having a National Nurse for Public Health. Creating a healthy me We promise to eat well, exercise and get regular checkups. We will make healthy choices that improve our health and set an example for our family and friends. Creating a healthy we We recognize that there is a complex web of social and environmental factors that affect everyone's health and limit the ability for many people to make healthy choices. Today we join the Generation Public Health movement to demand that our leaders consider these factors in all their decisions so that all people and all communities have the opportunity for a long, healthy life. It is only when we come together that are we strong enough to create the healthiest nation in one generation.